Copy editing, on the other hand, is looking at the "little picture" - the nitty-gritty details of grammar, spelling, and punctuation. The best copy editors are very detail-oriented. They read the words and sentences very carefully. Great copy editors are good spellers. They know the conventions of grammar and punctuation. If they are part of an organization, they are familiar with the organization's style. Copy editors can save you lots of embarrassment and greatly improve your work. They may catch the typos that you just haven't seen no matter how many times you have read what you wrote. They check consistency of style. 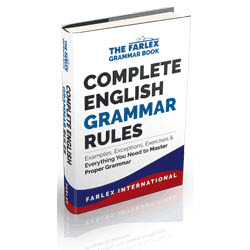 They make sure that a sentence with a plural subject has a plural verb. They may suggest changing a long run-on sentence into two shorter, clearer sentences. If you can possibly get the time of both a big picture editor and a copy editor, you will find both very helpful. Learn from them. Consider it mentoring, not just a chore to be passed off to someone else. An editor should work with you. Editing should not be something that is "thrown over the wall" and then "thrown back again." Especially in web writing, you and the editors must agree on what conventions you are following and which, if any, you are purposefully not following. You and the editors have to be in agreement on whether fragments are okay, on whether you can start a sentence with "But . . ." and end a sentence with a preposition, on whether questions make great headings, and so on. All the hints in the next section about working well with reviewers apply to working well with editors, too.